In today’s technology focused culture, we are often rendered deaf to the Nature’s grand call to adventure. Why endure discomfort and unknown risk when we can comfortably sit on our couches and watch someone else’s adventure on television? My response: Why not? We all deserve to be the hero in our own great adventure story. Down deep, each of us has a hidden explorer awaiting an opportunity to face the unknown and emerge victorious. When the call comes, how will you answer? The early years of the twentieth century were known as the Heroic Age of Antarctic Exploration, and the South Pole represented the planet’s final unknown frontier. In the published maps of the day, the Antarctic interior was a blank canvas upon which inspired nations and ambitious men alike sought to make their mark. In 1914, an explorer named Ernest Shackleton answered his greatest call to adventure. He ambitiously set out to lead the first expedition across Antarctica starting from the coast of the Weddell Sea, traversing the South Pole and ending up at the Ross Sea. How many of us would respond to such an advertisement? Who would volunteer to sail through frigid seas to walk across an uncharted frozen abyss? Reportedly, thousands of men sought a spot on Ernest Shackleton’s crew and 28 were chosen. The Endurance is legendary, in the records of polar exploration, despite the fact that the expedition’s initial objectives were never reached. In August 1914, the ship set sail for Antarctica by way of South Georgia Island, a whaling settlement off the coast of South America. Heading south, the wooden ship immediately encountered problems navigating through unusually thick packs of ice that created an ever moving labyrinth of destruction. By January of 1915, the crew aboard the Endurance was able to see the Antarctic mainland, but fiercely cold temperatures and polar winds trapped the vessel in ice. Yet, as the wood was violently twisted and pinched, Ernest Shackleton remained astonishingly calm, displaying remarkable self-control, optimism, and almost casual indifference to the impending doom. After ordering the men off the sinking ship, Shackleton marched his crew out onto the ice with the barest of supplies to make camp. By April 1916, the ice began to break up and the men navigated in three row boats to the rocky, deserted refuge of Elephant Island. Knowing that inaction meant that all would perish there, Shackleton decided to attempt one of the most daring open-boat voyages in recorded history. In a small row boat, Shackleton and five of his crew managed somehow to navigate 800 miles to South Georgia through hurricane force winds and raging seas utilizing only a sextant, a handheld tool that provides direction via celestial positioning. Imprecise readings would have meant the waves, winds, and current would have led the small craft into the open ocean and certain death. Due to the unparalleled navigating skills of Frank Worsley, the crew made it South Georgia, but they landed on the uninhabited side of the island. With almost no equipment, Shackleton and the men cross 30 miles of uncharted mountains in 36 hours. 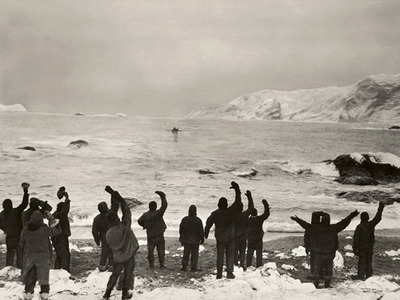 Reaching whaling station, Shackleton enlisted the help of the crew of the Yelco, a Chilean Steamer. Traveling back to Elephant island, he rescues the remaining men on August 30, 1916. “I have done it,” he wrote to his wife, Emily. “Not a life lost, and we have been through Hell.” Displaying the utmost devotion and responsibility for his team, his men returned his commitment with fierce loyalty and uncompromising faith in his ability to bring them home safely. In our mode rn day, we may never face a life and death survival gauntlet like the men of the Endurance. We face more subtle foes of moral relativism, obsessive consumerism, and weak social networks created by distance and reliance on technology. Yet, we still must endeavor to create meaning and find purpose in our chaotic world. Through self-improvement and service to humanity, we can chart our own course to happiness and fulfillment. Freemasonry calls us to embark on a profound adventure in a realm unexplored and uncharted by most modern individuals: to know oneself. Through hard work and perseverance, Masonry provides us with the tools for the highest degree of moral, intellectual, and spiritual development for all Mankind. Moreover, it teaches us the skills of leadership and reminds us the importance of caring for our fellow man. Supported by the bonds of Brotherhood, we can accomplish great feats of daring in our own inner quest. An admirer of the poetry of Robert Service, Ernest Shackleton included the poem, “Call of the Wild” in his journal writings during the Endurance Expedition. We are all called to such an adventure: a challenge to explore and conquer the deep recesses of the unknown. Have you strung your soul to silence? And the Wild is calling, calling. . . let us go. 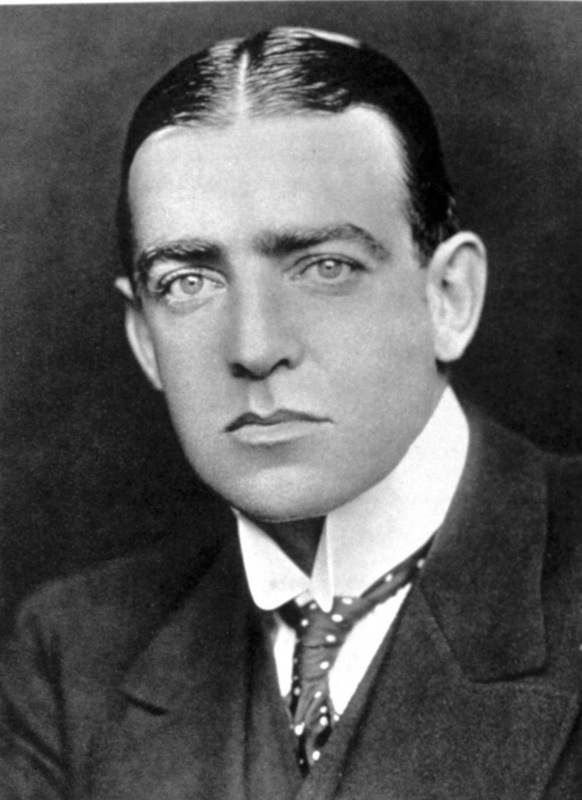 Sir Ernest Shackleton [February 15, 1874 – January 5, 1922] was initiated into Navy Lodge No. 2612 of the United Grand Lodge of England on 9 July 1901. Shackleton attended the first regular meeting of Guild of Freemen Lodge No. 3525 in 1911 and was passed to the second degree by that lodge on 2 November 1911. He was raised to the degree of Master Mason at Guild of Freemen Lodge on 30 May 1913.